399 Chessee Rd., Roswell, New Mexico 88203 The phone number is 800-729-0974. 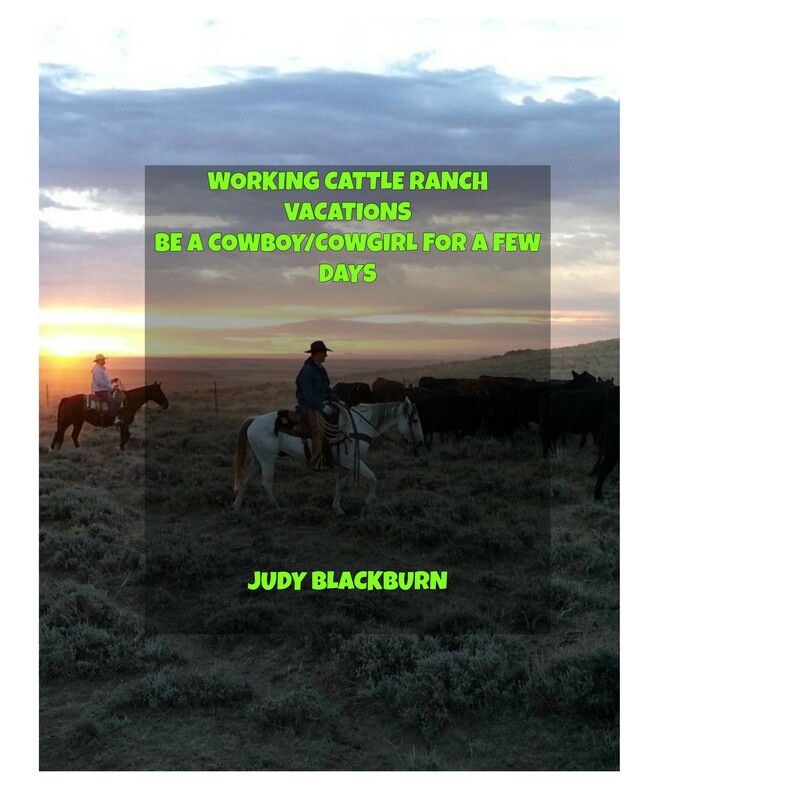 Burnt Well is one of those ranches where the guests can participate in working ranch activities as much or as little as they’d like. If you’d rather enjoy the quiet and beauty of New Mexico, that is doable also. There is a lot to see and absorb in this area. The ranch offers a six day sight seeing trip. Guests can see such things as Billy the Kid’s home and the famous Carlsbad Caverns. To mix space with the old west, guests can tour Roswell International UFO museum and the UFO crash site that happened in 1947. Guests can visit the Ruidoso Downs Race track which is known for the All American Futurity. You can also step aboard a horse and ride trails through the Lincoln National Forest. Some of these trails go up 12,000 feet above sea level. The ranch offers some specialty weeks. A Dude Ranch Style cattle drive is pushing those little doggies from one pasture to another. You can be in the saddle for several hours. Another weekly cattle drive is the Authentic “Old West” Style. This ride is the one where you are driving the cattle and living like the cowboys back in the day. You’ll be camping out four or five nights. This one is for those in good enough physical condition to be in the saddle for hours and sleeping on the ground. Although I did read that there are cots available. This ride is $1915. and includes meals, horse, and sleeping bedroll. Other rates are per person each day. Kids 6 – 12 $211. Kids 3 – 5 $114. They are open from March to mid November. The accommodations are four cabins with the names; Apache, Mimbres, Cowboy, and Outlaw. Up to 16 people can be comfortable in these cabins. Adult costs are for 12 and older and per person. The trail rides here are rich in Indian history. This is where Geronimo and his braves and people lived and fought. A lot of the cliff dwellings and other ruins are there to see and take into account the Indian heritage. This area is also where Sundance Kid, Butch Cassidy, and Billy the Kid rode through and lived out their time in history. I believe this ranch would be a great place to visit and explore for the cowboy and old west enthusiast. I know I would like to check it out. Now to the fun part. This is another great ranch where guests can either join in on all the cowboy stuff or relax and take in the beautiful scenery of New Mexico. Creek Ranch is a working cattle ranch. Guests are encouraged to take a part in the cattle drives, branding, and general ranch work. The trail rides are part of the attraction too. Guests will have a chance to be matched with a horse to accommodate their riding ability. The horses are Quarter Horse, Appaloosa, and Paint. The Pecos River meanders through part of the ranch. You can swim or fish and or have a picnic. The ranch has room for six to eight guests with modern convinces when you’re not on the trail or sitting around the campfire listening to stories. There are activities to take part in nearby such as the Billy the Kid and Old timer museums. At Fort Sumner the Bosque Redondo, which was an awful prison, is located. The ranch season is from April 1 to October 31 with a minimum of three nights. Prices are per person per night. $200. for seven nights minimum. There are cheaper rates for non-riders. Los Pinos is in the Sangre de Cristo of the Rocky Mountains on the Santa Fe National Forest. It is said that the daytime temperature ranges in the mid 70’s and gets down into the 40’s at night. Be sure to dress accordingly. They are open for guests from June 1 to September 30. Activities include fly fishing in the Pecos River or watching the birds. For bird watchers there is a Pecos Bird Festival September 17-20. There are bird tours available also. Other things to do is hiking through Forest Service trails or riding a horse on these trails. Guests can explore Indian pueblos too. The prices to stay at Los Pinos is $145. per person each night. There is a two night minimum. Kids five and older are welcomed at the rate of $50. to $80. per night and depends on age. Thank you for stopping by my hitching post. Please leave a comment or ask a question. I’ll do my best to answer. If you get to go to any of these ranches I’ve written about, let me know. I would love to hear of your experience.